There are many myths and stories about the dissemination of the Ilizarov method to the West. Having been involved in the transfer of this technology to the United States and many other countries in the world I decided to write this history down and separate the myth from the actual historical events. In order to be as historically accurate, I have personally interviewed most of the key figures that were involved in these events. While it is not possible to consider every person who had a role in this technology transfer I have focused this review on the pivotal events and people. If there is any inaccuracy or distortion of history it has occurred despite my best efforts. I have tried to paint these events around the backdrop of world history. 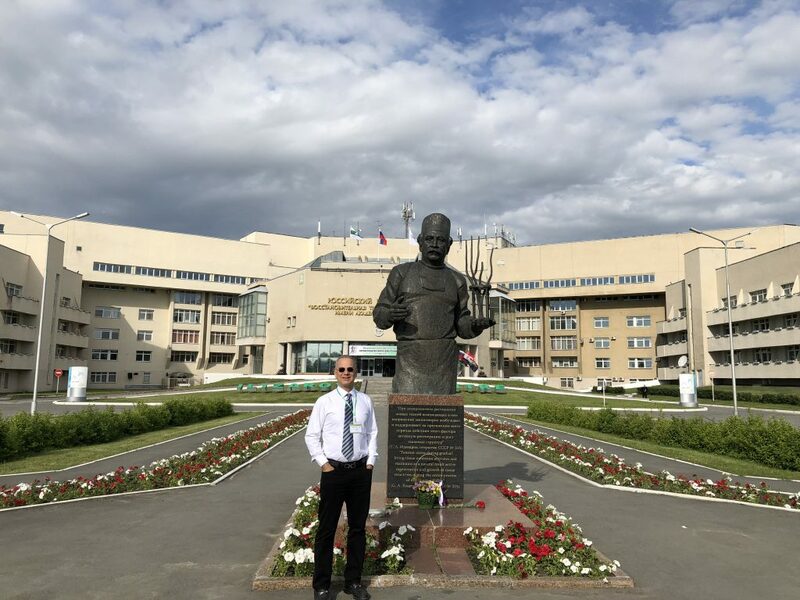 Dr. Paley visits the Ilizarov Center in Kurgan, Russia. He returns to the place where he learned limb lengthening and deformity correction 30 years ago. Most advances in medicine are disseminated by presentation at medical meetings, by publication, through observers and through commercialization of related products. The Ilizarov method ultimately followed this same pattern. However, it took 30 years from its development until it was introduced in the West. This lengthy delay in its recognition by the West and even in the Iron Curtain countries is an intriguing story filled with serendipitous events of historical significance. The transfer of this technology can be divided into information that was voluntarily given by Ilizarov and his colleagues, information that was obtained in a stealth manner often against the direct wishes of Ilizarov, and information that was derived from personal experience of the early experts in the field. It is the history of this information transfer that is recounted in this account. Throughout the 1950s and ‘60s, the applications of the fixator broadened to include limb lengthening, deformity correction, and nonunions. Based on animal and clinical research he was awarded his candidate of science in 1968 in Pemsk. Collaboration with an institute in Leningrad lead to his doctorate thesis which was accepted around 1968. Word of his method spread and many patients with difficult limb reconstruction problems beat a path to his door. Despite his successes his method was not widely accepted in the Soviet Union (although Dr. Ceballos from Cuba told me that in the early ‘60s Soviet military doctors were applying some type of Russian external fixator to patients in Cuba; it is not clear whether this was the Ilizarov device; the actual Ilizarov device was not introduced and used in Cuba until the late 1970s). This occurred largely because of the partisanship of different centers and the lack of manufacturing, marketing, and distribution of Ilizarov’s device. Many preferred to develop their own fixator. For example, Gudushauri a contemporary of Ilizarov’s developed his K-wire based fixator around the same time or just prior to Ilizarov. The well known Volkov-Oganesyin fixator was developed in the 1970’s was influenced by both of these fixators. Another factor limiting the dissemination of the Ilizarov device in the Soviet Union was the backwoods location of Kurgan. Central institutions in Moscow and Leningrad dominated academic and political Soviet orthopedics. Ilizarov’s affiliation with a Leningrad institution may also have created some enmity with Volkov the chief of CITO (Central Institute of Traumatology and Orthopedics) and one of the most internationally recognized Soviet orthopedic figures. Ilizarov organized a formal research and clinical center called the KNEIKOT. One of the most famous events that lead to his public recognition in the USSR was the treatment of Valery Brumel in 1967. Valery was the Soviet Olympic gold medalist high jumper in the 1964 Olympic games. Brumel fractured his leg in a motor vehicle accident after this Olympics. Brumel was treated at the famous CITO but ended up with a fracture that failed to unite and shortening of the leg. One of the doctors at CITO, Vladimir Golyachovsky who had visited with Ilizarov secretly recommended to Brumel to leave CITO before he lost his leg and to go to Kurgan to seek treatment by Ilizarov. Brumel was successfully treated by Ilizarov in 1967. Brumels return to the 1968 Olympics led both him and Ilizarov to jump to fame. Over the next few years Ilizarov received a lot of lay and medical notoriety within the Soviet Union ( e.g. he treated famous composer Shostakovich ). The height of this publicity resulted in an international news blitz in 1972 about the Magician from Kurgan. This resulted in the first two publications in the English language about Ilizarov one in a nursing journal and one in a podiatry journal. As a result of this publicity blitz, Professor Monticelli of the University of Rome was asked by a reporter what he thought about the Russian claims that limbs could be lengthened by 15 cm or more. He answered that in the Italian experience this was not possible. Curious about this possibility he assigned his junior assistant Dr. Renato Spinelli to research this topic. Spinelli discovered Ilizarov’s publication on physeal distraction (Ortopedia, Tavmatologia I Protezovanea 1967). Based on this he began his personal in vivo research on physeal distraction in sheep. He received money for a fellowship from the Italian Orthopedic Association to go to Kurgan to visit Ilizarov. Visa problems delayed his visit but through a friend of Monticelli’s in the communist party, he was finally able to go in 1980 and spend one month in Kurgan. He became, to my knowledge, the first Western Orthopedic Surgeon to visit Professor Ilizarov in Kurgan. He reported on his trip to the Italian Orthopedic Association that year in Rome. Monticelli presented their work at SICOT in Brazil as their own method without crediting Ilizarov. Spinelli remembers this moment as the point of no return with respect to Kurgan. They proceeded to develop their own circular tensioned wire frame which was commercialized by Howmedica (now Stryker) in 1986. In his visit to Kurgan in 1980, Spinelli discovered that Ilizarov was now using a technique developed in the 70’s called corticotomy. Spinelli began to use corticotomy and published on this technique in International Orthopedics in 1983. Spinelli is generally not credited with the introduction of the Ilizarov method to the West because no lasting link to Ilizarov the man or the KNEIKOT (the Institute) was established. Despite this Spinelli was the first in the West to apply the concepts of gradual distraction according to Ilizarov. He has always referenced Ilizarov in his publications. Although Spinelli got to Kurgan first the Western World’s introduction to the Ilizarov method is related to another Italian. Carlo Mauri was a famous Italian photojournalist, alpinist, and explorer from Lecco, Italy. Carlo traveled with the famed Norweigan explorer Thor Hyerdall (of Kon-Tiki 1947 fame) on the Ra I 1969, Ra II 1970, and Tigris 1977 expeditions. On February 13, 1961, while working as a skiing instructor, he was hit by another skier and suffered an open fracture of the tibia. The fracture failed to unite and after several surgical treatments resulted in an infected nonunion with an equino-varus deformity and shortening of the tibia. Despite the chronically draining infected tibial bone and the foot deformity and leg length difference, Carlo managed with an orthotic device on the famous Marco Polo expedition reproduction, and on the three Hyerdall expeditions. In 1977 while on the Tigris expedition around the Arabian peninsula, his Russian companion, Yuri Senkevich (another journalist and more recently until his death in 2001 a famous television talk show host in Russia) offered to introduce Mauri to Professor Ilizarov in the Soviet Union. In March 1980 Mauri went to Kurgan and was operated by Professor Ilizarov on April 4, 1980. Ilizarov distracted his stiff nonunion by 2 cm healing the pseudarthrosis, correcting the equinus deformity by distraction and lengthening his leg. Carlo Mauri’s treatment in Kurgan coincided with Spinelli’s visit to Kurgan. Carlo returned to his hometown, Lecco, Italy where he shared his experience with his longtime friend and orthopedic surgeon Dr. Angelo Villa. In November 1980, Dr. Villa arranged for Mauri to report to orthopedic surgeons of the Hospital of Lecco (Dr. Roberto Cattaneo, Dr. Maurizio Catagni, and Dr. Tentori) and Dr. Bianchi-Maiocchi from Milan. This coincided with an interview of Carlo Mauri in the Italian newspapers by Alexander Alexandrovich Bangherski. Professor Antonio Bianchi-Maiocchi (president of AO Italy at the time) through Professor Roberto Cattaneo (the chief of Orthopedics at the Hospital of Lecco and the chairman of the AO Italy club meeting of 1981) invited Professor Ilizarov as a guest speaker at the 22ndAO Italy club conference in Bellagio, June 12-14, 1981. The title of the conference was Prophylaxis and Treatment of Bone Infections. This was Ilizarov’s first visit to a western country. Professor Ilizarov (accompanied by his daughter Svetlana) presented 3 lectures (The treatment of Open Fractures; the Treatment of Post-Traumatic Osteomyelitis; and Bone Lengthening) to an audience of Italians, Swiss, French, and Austrians (more than 200 attendees). Some of the notable attendees at this conference were Professor Renato Bombelli, Busto, Italy, Professor Giorgio Monticelli, Rome, Italy, Professor Trojan, Vienna, Austria, Professor Pietro Regazzione, Basil, Switzerland, Professor L Kinzl, Ulm, Germany, The lectures were received with awe and were followed by a ten minute standing ovation. Despite these presentations, there was an air of suspicion and disbelief typical of this cold war era. Curiously, Ilizarov’s trip was sponsored by a furniture manufacturing company CS& RB (they were sponsors of some of Mauri’s journeys). This company also bought from Ilizarov a large set of his fixator components and presented them to the Hospital of Lecco. Surgeons at the Hospital of Lecco began using the method in 1981. Prior to returning home, Ilizarov operated on an achondroplastic patient at the Hospital in Lecco the first procedure performed with the Ilizarov apparatus in Western Europe. The surgeons from the Hospital of Lecco began performing this type of surgery following Ilizarov’s visit. They based their initial experience on Ilizarov’s lectures, discussions, and slides. (The Italian surgeons managed to secretly copy Ilizarov’s slides while he was giving his lectures.) Gavril Abramovich Ilizarov was born in Belarus in 1921. His family was Jewish originating from the Caucasus region of the USSR on his father's side. He began his formal school education late at the age of 11. He completed his medical school in Simferopol, Ukraine in 1944 despite the ongoing war. After graduating he was posted to the Kurgan region (Dolgovka- 150km form Kurgan) and worked there as a general practitioner (it was the norm in the USSR to post the doctors to different regions according to need). He organized a workshop for the development of medical instruments in 1946 for the purpose of treatment of the war injured invalids that returned from the front. In 1946 through this workshop, he began working on the earliest prototypes of what would become known as the Ilizarov circular external fixator. He registered his patent in the USSR (certificate of authorization of patent no. 98471) on June 9, 1952). 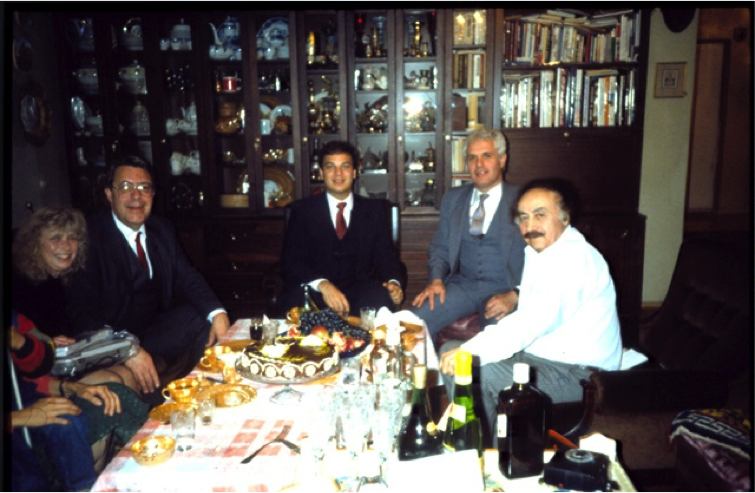 In April 1982, a group of Italian orthopedic surgeons (Antonio Bianchi-Maiocchi-Milan-former president AO Italy, Giovanni Benedetti-Bergamo-former president of AO Italy, Angelo Villa-Lecco, and Maurizio Catagni-Lecco) accompanied by Carlo Mauri went to Kurgan, USSR for the first time. They attended surgeries and observed the postoperative follow-up. Upon returning the surgeons at the Hospital of Lecco and at the Mateo Rota hospital in Bergamo began using the method with increasing frequency. At the Hospital in Lecco, the surgeons involved were Drs. Cattaneo, Villa, Tentori, and Catagni. In Bergamo Drs. Benedetti and Argnani performed this work. Professor Emeritus Bianchi-Maiocchi’s role was to be different and pivotal. Bianchi-Maiocchi retired from clinical practice in 1978. He owned a company (Medico-Plastic) that manufactured wound drainage systems. He sought to manufacture the Ilizarov apparatus under licensure agreement with the Soviets. In December 1982 he returned to the Soviet Union to meet with the Licensintorg and Medexport the official government agencies that assigned licenses for all Soviet patents and inventions and that regulated exports and imports. An agreement was reached giving Medico-Plastic the exclusive right to manufacture and distribute the Ilizarov apparatus in Italy, France, Switzerland, Spain, Portugal, Greece, Belgium, Netherlands, Luxembourg, and Iran. The agreement included a scientific accord by which Kurgan was to provide some of the KNEIKOT’s internal publications for translation into Italian and that Ilizarov would be available to come to lecture and teach his method as long as all expenses including an honorarium were paid by Medical-plastic. Bianchi-Maiocchi hired Marinella Combi an editor and a Russian to Italian translator(1985) that was to remain his faithful assistant until his recent death (Dec 2003) Thanks to Biancchi-Maiocchi’s foresight the Ilizarov apparatus became available in Western Europe. The Italian version of the apparatus was identical in all its details but was made from better medical grade stainless steel (the Russian device was not as well made and frequently rusted). More than any single event the agreement made by Bianchi-Maiocchi with the Licensintorg enabled the dispersion of Ilizarov’s method around the world and especially to the West. Before the trip to Kurgan, the Italian surgeons organized the Associazione Studio Metodica Ilizarov (ASMI). The name of the association was actually chosen by Ilizarov in Russian and translated into Italian. The Italians incorporated the association on January 13, 1982, and modified the name to ASFEI (Associazione per lo Studio Fissatore Esterno de Ilizarov). The name was then again changed to A.S.A.M.I.-Associazione per lo Studio e l’Applicazione del Metodo di Ilizarov. Professor Roberto Cattaneo was chosen as its first president. The founding members included Angelo Villa- secretary, Renato Bombelli-vice president, Bianchi-Maiocchi and Giorgio Arcudi- Advisors, and Giovanni Battista Benedetti- treasurer. The other founding members were Drs Ghezzi, Catagni, and Tentori. The first order of business of the association was to organize the first course in the West on ‘The Theoretical and Practical Application of Ilizarov’s Methods’ in Longone al Segrino (near Lecco) in June 1983. The course was directed by Ilizarov and his assistant Dr. Vladimir Ivanovich Shevtsov. There were over 300 participants including two American honored guests Drs. Augusto Sarmiento and G. Dean MacEwan. Just prior to this meeting in March 1983, Bianchi-Maiocchi published the first of Asami's several books on the Ilizarov method. This included many of the original cases and mountings copied (without permission) from Ilizarov’s slides, cross-sectional anatomy copied (without permission) from Stuart Green’s textbook Complications of External Fixation and the first clinical cases from Lecco and Bergamo. This book published in Italian became the first manual on the Ilizarov method. 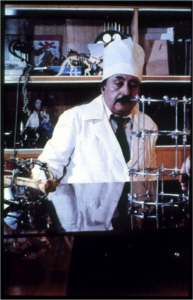 With the method and apparatus now recognized and available in Italy and France and to a lesser extent in Portugal, Spain, and Switzerland, Ilizarov organized his first International Congress on Transosseous Osteosynthesis, in Kurgan in September 1983. This conference drew participants mostly from Iron Curtain countries but for the first time also from Western Europe. The occasion for this conference was marked by the official opening of the new hospital and research center of the KNEIKOT. The old center remained as the animal research facility and the outpatient surgery and follow-up center. Following this conference, Bianchi-Maiocchi published the second of several books on the Ilizarov method based on the abstracts and lectures of the conference (July 1985). In July 1984, ASAMI put on the second instructional course in Dorga (near Bergamo), Italy, organized by Professor Benedetti. Drs Ilizarov, Shevtzov, and Shved from Kurgan were there. ASAMI presented their results of more than 600 cases treated. Of note, this conference was also attended by Dr. Giani Maistrelli of Toronto, Canada and Dr. James Aronson of Little Rock, Arkansas both of whom were Dr. Bombelli’s clinical fellows. Also in attendance was Maurice Mueller of Bern, Switzerland, the president of SICOT and the founder of AO International. Through 1985 the Ilizarov method spread rapidly through most of Western Europe Ilizarov attended a conference in Barcelona on February 4, 1985, and the first French Course on the Theoretical and Practical Aspects of the Ilizarov Method in Strasbourg, France on October 1985. In February 1985 Dr. Victor Frankel, Chief Surgeon of the Hospital for Joint Diseases, saw the Ilizarov method on display at a conference in Barcelona, Spain. A patient of Frankel’s was a relative of Bianchi-Maiocchi. Through these connections, in May 1985 Frankel and Jack Blair(president of Richards Medical, Memphis, Tennessee) sought out Bianchi-Maiocchi while at a conference in Milan, Italy. Bianchi-Maiocchi took them to an outpatient clinic at the Hospital of Lecco for half a day. Frankel returned to New York, obtained an Ilizarov apparatus and began biomechanically testing the apparatus. Although continental Western Europe was now very familiar with the Ilizarov method, North and South America remained ignorant of it despite the exposure of MacEwan, Sarmiento, Aronson, Maistrelli, and Frankel to it by 1985. The introduction of the method to North America is credited to Dror Paley of Toronto. Paley first heard about the Ilizarov method in November 1983 while he was a fourth-year orthopedic resident at the University of Toronto. Dr. Renato Bombelli was in Toronto as a guest professor of the annual Rehabilitation Conference. After the conference, Bombelli was a guest at the Toronto East General Hospital, at a special Grand Rounds with the Visiting Professor. Paley presented a case of a tibial bone defect. Bombelli discussed this case and commented that in Italy they would treat such a case with the Ilizarov method in which bone would be shifted gradually from one end of the defect to the other (Bombelli was describing bone transport). Following his explanation, there were no questions. Paley felt ignorant not knowing about this Russian method that obviously everyone else in the audience knew about. He quietly asked Bombelli about this during the coffee break. Bombelli drew a diagram to explain the methodology. Paley soon realized that no one in the room had understood what Bombelli was talking about but had been too polite or embarrassed to ask. Paley wrote Bombelli asking for literature on the subject while at the same time he performed a literature search. The latter yielded numerous Russian language references on the Ilizarov method which were obtained from the Canadian equivalent of the library of Congress in Ottawa. Paley was surprised to find an enormous body of scientific literature on a subject matter that no one had ever heard of. Paley met with Bombelli at the AAOS meeting in 1984 and was presented with Italian methodologic literature on the Ilizarov method. Stimulated by this Paley decided to visit the Italian centers at the end of his residency in 1985. Paley presented 2 papers at the Richards Orthopedics Resident Conference and won first prize for both. This gave him the research project on bone transport in dogs. Paley began to explain to Blair about the Ilizarov method. Blair interrupted and told Paley that he had just been to Lecco, Italy and had seen the device with Dr. Frankel the month before. Blair was very interested and agreed to fund Paley’s research. Upon Blair advice, Paley visited Frankel in July 1985. This began a collaboration of a very senior world-renowned orthopedic surgeon with a completely unknown recently graduated orthopedics surgeon. Frankel encouraged Paley to pursue the study of this Ilizarov method. That summer Paley also visited Dr. McEwan (Wilmington, Delaware) who had a copy of the Italian Ilizarov books. In Wilmington, Paley also met Julio DePablos from Pamplona, Spain. DePablos was doing innovative work in physeal distraction and was a student of Canada a famous Spanish limb lengthening expert. Having learned as much as he could from the literature and from doctors who had seen the device Paley decided that he had to go to Italy to see the surgery. Jack Blair agreed to sponsor Paley on this trip. Paley spent a week in Lecco and Bergamo observing surgery and seeing patients. He arrived in Lecco, believing that one week is enough to learn most surgical procedures and the Ilizarov should be no exception. After seeing the wide variety of applications, Paley realized that to learn this the Ilizarov method required a longer stay. On my return to Canada, Paley organized a 6-month European traveling fellowship to be spent primarily at the Hospital of Lecco and the Mateo Rota Hospital of Bergamo but also at other limb lengthening and external fixation centers in Europe including, Kurgan to visit Professor Ilizarov. Richards Medical agreed to help fund this traveling fellowship. A Richards Ilizarov task force was set up headed up by Richard Treharne, Ph.D. In June 1986, together with his pregnant wife and 2-year-old son, Paley departed for Europe for six months. The biggest challenge of organizing the trip was obtaining a visa to the USSR and getting approval to visit Kurgan. Serendipitously, Ilizarov was hosting the 2nd International Conference on Transosseous Osteosynthesis in September 1986. Through Dr. Bianchi-Maiocchi, Paley received an invitation to attend and therefore was able to procure a visa. Having a Canadian rather than an American passport probably also helped. At that time Kurgan was a closed city. This meant you couldn’t go there on a tourist visa. Had it not been for the conference Paley doubts he would have been able to get the visa. Paley’s itinerary in Europe is worth mentioning because he was influenced by some of the most experienced limb lengtheners of Europe. He began in Rome with Monticelli and Spinelli for two weeks, followed by three weeks in Verona with Debastiani, Aldegheri, and Renzi-Brivio. He spent a few days in Davos with Tepic and Perren and then visited Wasserstein in Eberbach, Germany. This was followed by the trip to Russia for 5 weeks visiting Ilizarov in Kurgan and Kalbernz in Riga. From the USSR he went to visit Hammer in Sweden and Kenwright in the UK. Paley could not have chosen a better six months to go to Europe to study the Ilizarov method since coincidental with this time period there were several important conferences that added to his knowledge and exposure immensely; 2nd International Conference on Transosseous Osteosynthesis, Kurgan, USSR, September 1986; International Biomechanics Conference, Riga, Latvia, USSR; Orthofix External Fixator Meeting, Riva del Garda, Italy October 1986; Hoffman External Fixator Meeting-Garmish Partingken, Germany, October 1986; ASAMI Italy scientific meeting- October 30-31, 1986 Florence, Italy; SOFCOT(French National Meeting) Paris, France, November 1986 dedicated to the Ilizarov experience in Europe ( Ilizarov was the guest speaker); and Achondroplasia Meeting-Rome, Nov 1986 (Ilizarov was the guest speaker),. During these conferences, I had the opportunity to meet and discuss topics and be influenced by Villarubias, Wagner, Kopits, Morandi, Canuti, Tranquilli-Leali, Ascani and numerous other experts of limb lengthening. Dr. Villa showed Dr. Green the first ASAMI book. In it, he saw the cross-sectional anatomy drawings that had been copied without permission from Green’s book. Understandably Green was quite upset since he had never been asked permission for this reproduction. He left in a huff for Germany. Paley went to Milan to speak to Bianchi-Maiocchi the editor of this book. Paley was struck by the mention and illustration of the Ilizarov apparatus. While Green had not yet used the Ilizarov apparatus he was aware of Ilizarov and the existence of his apparatus long before most in America. Stimulated by what he had seen in Europe, and an external fixation expert in his own right Dr. Green began to apply the Ilizarov concepts with the Ace-Fisher circular fixator. His first case was a nonunion distraction in November 1986. He sent Ilizarov a copy of his book by mail expressing an interest in visiting Kurgan. He finally made this journey in May 1987, together with Victor Frankel. Prior to going to Europe in 1986, Paley performed a biomechanical comparison of the Ilizarov apparatus at the University of Vermont with Malcolm Pope, Braden Fleming, and Tom Kristiansen. Paley presented this work at the International Conference in Kurgan. As the only delegate from North America, Ilizarov invited Paley to speak with him privately in his office. Ilizarov was quite interested in the dissemination of his method in America. Paley spoke for over an hour through an interpreter. While Paley was learning Russian, it was not good enough yet to communicate with Ilizarov. Paley invited Ilizarov to a conference in New York for 1987, a conference he was to organize together with Dr. Frankel. (In June 1986, Paley met with Victor Frankel at the COA meeting in Edmonton. He told him he was going to Kurgan in September. Frankel suggested inviting Ilizarov to a conference in New York for 1987 to coincide with the Jones Lecture at the Hospital for Joint Diseases.) The exchange with Ilizarov went very well and Ilizarov invited Paley to stay at the Institute for an additional two weeks and to return the following year for another visit. Unwittingly, Paley told Ilizarov that he could not stay for two weeks but was delighted to return for a month the following year. When asked why Paley related to Ilizarov that he was going to Riga, Latvia to a biomechanics conference organized by Dr. Kalbernz. Ilizarov asked Paley to withdraw his paper and not to attend that conference. Ilizarov was a rival of Kalbernz the Professor in Riga. There had been bad blood between these two men and also between Ilizarov and a former Riga Professor, Dr. Wasserstein that Paley had visited the previous month in Germany. Fortunately, Wasserstein had warned Paley of the political situation between Kalbernz and Ilizarov. Ilizarov was not used to rejection, especially not from a 30-year-old orthopedic surgeon with no personal surgical experience outside his residency. It must have been an insult that such a young surgeon would stand his ground in apparent defiance. Paley told Ilizarov that he knew of his relationship with Kalbernz but that Ilizarov had nothing to worry about since Paley intended to return to Kurgan and to study and popularize the Ilizarov and not the Kalbernz method. Ilizarov’s surprise at Paley’s knowledge of the Russian orthopedic politics helped diffuse the tense discussion. Ilizarov explained that he did not trust Western Orthopedic surgeons since Spinelli had come to Kurgan and had returned without crediting Ilizarov’s method. Paley’s knowledge of the Spinelli story further broke the ice, defusing what was becoming a very tense standoff between Ilizarov and Paley. Paley describes this as the first glimpse of Ilizarov’s paranoia, which was based on many years of being shunned by the big professors of Moscow, Leningrad, Riga etc. He was constantly afraid of having his method stolen from him, without credit. He felt this had happened with the Volkov-Oganesyen apparatus, the Kalbernz apparatus, the Wasserstein apparatus and many others. He was upset by his faith in Spinelli (who by the way also taught himself Russian as Paley did in order to learn the Ilizarov method). In fact, the only groups that Ilizarov trusted were Bianchi-Maiocci and the Italian surgeons that founded ASAMI. They had demonstrated their allegiance by repeatedly inviting him, honoring him and paying him. The cornerstone of this trust and therefore the link with Ilizarov and the KNEIKOTT was the commercial agreement between Medico-Plastic and Medexport. Paley also carried out three research projects using material at the Hospital of Lecco and in one study from the Mateo Rota Hospital of Bergamo. The hospitality, warmth and sincere friendship he experienced from the orthopedic surgeons and their families built and everlasting bridge between Italy and Paley. In 1986 nearly 1000 patients had been treated by the Ilizarov method in Lecco and Bergamo. Numerous errors were made and many complications occurred. Rather than abandon the method these surgeons learned from their mistakes and moved forward, advancing on their learning curve and improving the method as they did. Ilizarov had never told them what to expect as far as complications nor how to avoid or treat complications. These pitfalls lead many European surgeons to lose their initial enthusiasm and to give up the method rather than to work through it. This was most evident at the SOFCOT meeting in Paris in November 1986. The French surgeons presented paper after paper of disastrous results with the Ilizarov method. It was the first of many times that Ilizarov was to say ‘that is my apparatus but not my method’. Many switched to mono-lateral fixation blaming the Ilizarov apparatus for the failures rather than the person applying the apparatus. Fortunately, the group in Lecco and Bergamo persevered where others failed. Paley had the good fortune to learn from their mistakes and therefore start his experience higher up on the learning curve. One notable event that happened during my sojourn in Lecco that was to create a radical difference in the teaching of the method occurred. The Russian technique of applying the apparatus was to insert the wires first and apply the rings next. Centering one ring to the next is quite difficult this way. Paley preconstructed an apparatus for a case in Lecco. While he was never allowed to apply the apparatus to a patient in Lecco when he returned to North America all the Ilizarov frames applied were preconstructed. The importance of preconstruction is that it made the Ilizarov method easier to teach. Preconstruction is a technique that should be credited to Paley in 1986. Paley returned home to Toronto Canada, December 21, 1986, to the birth of my second son Jonathan the next day. On January 1, 1987, he started his fellowship in pediatric orthopedics with Dr. Walter Bobechko at the Hospital for Sick Children. Bobechko who was the chief of orthopedics agreed to let Paley order Ilizarov equipment directly from Italy. This was a pivotal event. First of all, it represented the first official importation of the Italian Ilizarov apparatus produced under licensure to North America. Second, it paved the way for the subsequent agreement between Richards and Medical Plastic. Third, it began the largest experience to date of Ilizarov applications in North America. In Canada, a French company was already importing a French copy of the Ilizarov apparatus. In March 1987 while Paley was back in the USSR, Ivan Krajbich applied the French version of the Ilizarov to a congenital pseudarthrosis at the Hospital for Sick Children. Paley decided to delay using the Ilizarov device until he returned from a second trip to Kurgan. Professor Ilizarov sent Paley a personal invitation to revisit Kurgan in March 1987. With Dr. Bobechko’s permission, Paley returned to Kurgan for a month. It was during this month that Paley’s Russian language improved to the point that he could converse, read, write and even lecture in Russian. Learning Russian proved to be a key step in learning how the Ilizarov method was performed. A veil of secrecy existed in Kurgan. Many of the questions asked by foreigners on previous trips were answered in no uncertain terms by the word ‘secret’. By speaking and reading Russian, Paley was able to get along without an interpreter. Without a go-between and therefore a witness most of the doctors were much more open. Furthermore, as Paley was befriended by many of the surgeons, he was able to discuss more about the method. Since Paley could read Russian, he would scan the daily operating room schedule and see which operations he was interested in attending. On the other hand, these were usually not the operations he was permitted to see. Dr. Diachkova arranged a daily program for Paley. The operating rooms were organized into three blocks of six rooms. All six rooms were interconnected. Paley would slip from one room to the next to observe different surgeries. Widening of the leg, foot and hand surgeries were not permitted. Observing these had to be done in a clandestine manner. Several times the course organizers discovered that Paley had strayed and politely herded him back to the room he was supposed to be in. On one occasion Paley was observing several widening surgery patients when the phone rang. The chief of the department who was showing Paley the patients returned and informed him that Professor Ilizarov had just called and instructed him not to show Paley any widening or foot osteotomy patients. Since he had already begun showing Paley these patients he offered, that he would continue to do so if Paley promised not to tell anybody about this. The evening was a particularly useful time to discover some of the secrets behind the method. Premier Gorbachov had created a restriction on the purchase of alcohol. However, at the hotel, there was no restriction for foreigners. Paley would frequently invite Russian friends to drink and eat with at the Hotel Moskva. Vodka had an amazing effect on the information they were willing to share. Paley’s curiosity and enthusiasm in the method were infectious and there was an outpouring of unsolicited help that he received from many parties to share what they knew. The research staff even provided Paley with original photomicrographs of Ilizarov’s original experiments and explained many of the biologic findings that have subsequently been rediscovered by Western researchers. The level and depth of their basic research were impressive. In contrast to the secret openness that Paley received from many individual parties, there was the daily frustrating ‘secret’ and evasive answers to many of his questions when more than one person was in the room. The individuals at the institute could be divided into two groups: the survivors and the non-survivors. The former was obviously and intentionally evasive even about common subjects. Paley eating caviar in Russia with Dr. Ilizarov. Paley recounts an hour discussion with Dr. Makushin on nonunions in which at the end he realized he had learned nothing. Nevertheless, the survivors were the ones that advanced in their positions. Some of the survivors were privately helpful but publicly evasive. The second group was the non-survivors. These were the individuals who went out of their way publicly and privately to teach him. Many of these were subsequently demoted or have left the institute. One of these non-survivors, Dr. Katayev who Paley often refers to as an Ilizarov dissident had already been demoted when in March 1987 during his second visit to Kurgan. Dr. Katayev was relegated to teaching the Russian students. Ironically this was considered a demotion from his previous high position in the patent office. After one of his outstanding lectures that Paley attended unofficially on a Saturday, he was invited to have lunch on a Saturday at Katayev’s apartment which was in the same apartment complex as Ilizarov. Ilizarov discovered this on Monday and interrogated Paley in his office as to what Katayev had taught Paley and what they had discussed at lunch. Since Katayev had worked in the patent office and was known to be open and unafraid, Ilizarov was petrified that Paley might learn some of the ‘secrets’. During Paley’s interrogation, Ilizarov would go to the back and forth between his office and a back room. Ilizarov was interrogating Katyaev in one room and Paley in the other. Paley was so disgusted by this behavior that he told the director the institute Mr. Sochnev that he was leaving for home. 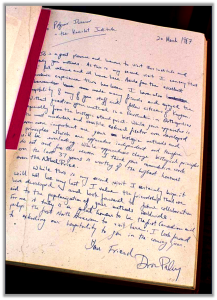 That afternoon through Mr. Sochnev Paley received an indirect apology from Professor Ilizarov requesting that Paley remain and extend his stay by a week. Paley stayed and had perhaps the most informative week of his five-week stay. Mr. Yevgeny Sochnev and Paley remained very good friends, cross-country skiing each morning, eating caviar, with bread, butter, and vodka while discussing politics each evening. Paley recently found out that Sochnev was a member of the KGB. Despite this Paley claimed that he was always treated well by Sochnev. While numerous European surgeons had been to Kurgan none had stayed more than a week to ten days and all teaching was done through an interpreter. Their programs were heavily regulated and organized and most had no previous experience with the method so that the questions they had were less focused. Paley went to Kurgan for the first time in this manner. Paley went to Kurgan the second time having observed and worked with the method and other methods for six months. He also had the advantage of speaking Russian which he had taught himself for this very purpose. Prior to going to Kurgan, Paley had obtained many of the classic original Russian language articles published from Kurgan through the library in Ottawa. He brought these with him and translated them while in Kurgan. Paley also had the opportunity to use the KNIEKOT’s library. This library had a lot of the internal publications of the institute that was unavailable elsewhere. Since there were no photocopy facilities he photographed a lot of this material in his hotel room. Later analysis and translation of much of this material were instrumental in the application of the method when Paley returned home. It is armed with all of this that Paley returned home at the end for the second Kurgan visit end of March 1987. 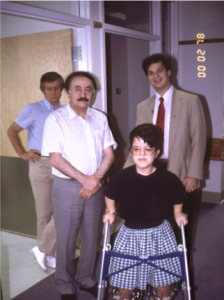 In April 1987 Paley performed his first Ilizarov case at the Hospital for Sick Children. From April to October 1987 he treated 52 patients with the apparatus. In addition to the better-known applications of the method for deformities, lengthening and transport he began to perform techniques that were not being done in Western Europe yet such as V and osteotomies for the foot, double level lengthenings, leg widening etc. While the Europeans were following Ilizarov’s axioms of closed treatment of pseudarthrosis and in particular congenital pseudarthrosis, Paley had observed the open treatment of this in Kurgan. All four initial cases of this pathology that he treated in Toronto healed without difficulty. Having had 7 months of fellowship training prior to beginning, paid off. There were still many complications. The opportunity to begin this work in Canada and not in the more litigious environs of the USA was another advantage. Finally, the ability to siphon off the most difficult cases at HSC from the referrals of most of the staff there gave Paley an unparalleled initial experience. In June 1987, Richards Medical began the commercialization of the Ilizarov apparatus in North America by the importation of the apparatus from Medical-Plastic. While in Kurgan Paley delivered an invitation to Professor Ilizarov from Dr. Frankel. Paley helped Dr. Frankel and Green plan and organize their first trip to Kurgan. They both went in the month of May 1987. Following this Drs Frankel and Paley began organizing the first Ilizarov conference on the Ilizarov method in the US. Sponsored by Richards and by the Hospital for Joint Diseases, Paley was able to invite numerous European experts on the Ilizarov method to speak. The conference was co-chaired by Frankel and Paley and took place at the Roosevelt Hotel on November 1-3, 1987. There were 150 participants. The program had to be modified on a daily basis to accommodate for Professor Ilizarov’s longer than expected lectures. The conference concluded with a presentation of the Hospital for Sick Children Experience by Paley, the first North American experience. This was followed by a west coast mini-course organized by Stuart Green. One of the most significant lectures at the NY conference was by James Aronson. He demonstrated that he had reproduced the biologic findings that Ilizarov talked about. This added tremendous credibility to Ilizarov’s talks. A great deal of credit for the introduction of the Ilizarov apparatus and method to America should go to Jack Blair, President of Richards Medical Co. (Now Smith and Nephew Orthopedics) who had the vision to see the future of this methodology. From the beginning when Blair went to Lecco with Victor Frankel and when Paley called him to get funding for Ilizarov research and then an Ilizarov fellowship, he was very supportive of bringing the Ilizarov method to the US. Early on he assigned the project to one of his research people Richard Treharne Ph.D. Just prior to the first NY course Treharne hired Alex Lukianov to run the commercial side of the product which was now FDA approved. Alex’s infectious personality and superb managerial ability allowed the Ilizarov to become a separate division at Richards and have a separate budget. Those were the golden years and during the two years that this special status existed the product grew and spread by leaps and bounds. New product parts were designed according to the advice of many surgeons. Unfortunately, Alex left Richards to work for Danek in Jan 1990. Richards maintained its commitment to Ilizarov but the product line was taken over by the Trauma division. Its autonomy was lost. Nick Zelensky and his superior Frank Navarra assumed responsibility for the product. It is through their leadership and commitment that new developments to the product line occurred. These include the hybridization of the device using half pins (a system developed by Stuart Green- RANCHO system); hinge distraction fixators for the elbow, finger and recently for the knee, and ankle developed by Robert Hotchkiss; the spatial frame for complex deformity correction developed by Charles Taylor; and lengthening over nails developed by Dror Paley. In September 1988, Richards Medical (Alex Lukianov) organized the first English speaking course on the Ilizarov method in Kurgan. This was attended by over 50 Americans and Canadians and was lead by Paley and Green. It was the first of many annual courses to follow. In December 1987 Frankel and Paley co-chaired the third Ilizarov Conference in New York. This was to be the last of the independently organized courses. All subsequent courses were organized through Richards although the scientific program was always independently organized by the surgeons. The next year saw a flurry of resort-based courses and the first advanced course. 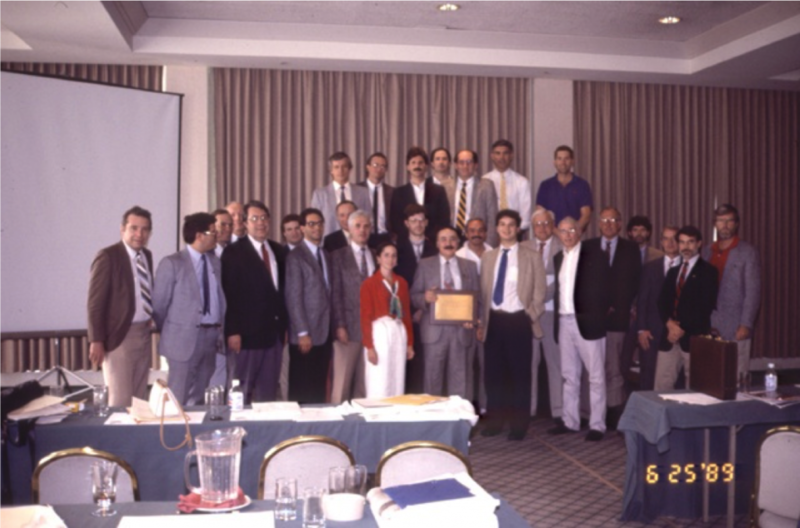 The first Advanced course was held in Baltimore in June 1989. It was the last regular course Ilizarov was to attend. Following that Ilizarov’s attendance was more sporadic as the Americans took more of the responsibility to teach his method. The first Advanced course was on Deformity correction and was to be a prequel to the annual Baltimore Deformity conference. The day prior to the first advanced course, Paley organized a town meeting of key opinion leaders to form ASAMI North America. The charter was founded and the bylaws were chosen. Paley was elected the first president of ASAMI North America. Ten papers were presented with Professor Ilizarov and Shevtsov in attendance. Both were made honorary members. Supported by the Richards Company many international courses were sponsored including Germany, South Africa, Australia, New Zealand, Thailand, Singapore, Malaysia, Taiwan, Japan, South Korea, and Israel. Most of these were taught by Catagni and Paley. In addition, many developing nations locally sponsored their own courses to which Catagni or Paley was invited including Brasil, Argentina, Egypt, Chile, Mexico, Zimbabwe, Pakistan, India, Cuba, Tunisia, Saudi Arabia, Bahrain, and others. Through these courses, the experience developed in Lecco and in Baltimore was transmitted around the globe. The first ASAMI meeting, 1989. In 1987, Paley was invited by Dr. Marshall Urist to edit a Symposium of Clinical Orthopedics and Related Research entitled ‘Modern Techniques of Limb Lengthening’. This was published in January 1990 and contains some of the classic articles on this subject to date. Urist met Ilizarov in LA at Dr. Greens symposium in 1987. He invited Ilizarov to submit his articles to the journal. Ilizarov consented and while in LA gave Dr. Green his slides and his lecture to put together into an article. Green wrote the article based on the poor translation he had received from Ilizarov. Furthermore, he printed Ilizarov’s slides and then cleaned them up in his own home darkroom to submit for publication. The three articles that resulted are Ilizarov’s only publications in the English language peer-reviewed literature. Ilizarov was so pleased with Green’s work that he invited Dr. Green to edit the book he was writing for Springer-Verlag. Green met with Ilizarov several times including a special trip to Kurgan to work with him on the book. This must have been a work of love since Ilizarov was not the easiest person to work for. On several occasions, Green almost quit and went home. Green’s selfless commitment to this effort is perhaps the greatest contribution he could have made in this field. The manuscript that resulted is Ilizarov’s final testament and a permanent record of his work for years to come. Had Green not done this Ilizarov’s work may never have been published. Around the same time, Aronson assisted Bianchi-Maiocchi in editing his newest book a manual on the use of the Ilizarov apparatus. Clinical Orthopedics continued to support publication of research on the Ilizarov method through a special issue edited by Green in 1992 and by Aronson in 1994. A special symposium was also published in 1993 in Orthopedic Clinics of North America edited by Green. The Bulletin of the Hospital for Joint Diseases has also been very supportive due to the patronage of Victor Frankel. The Journal of Bone and Joint Surgery (British) and more recently the American version have published numerous papers on Ilizarov techniques. All of these publications and the many presentations at local, regional, national and international meetings have given the Ilizarov method the legitimacy that it lacked 20 years ago. The Ilizarov method is now a standard accepted Orthopedic method and is even occasionally the correct answer on in-training and board exams. This more than 50-year-old method that had difficulty getting accepted in the Soviet Union is now accepted and used worldwide. It has been a great adventure and honor to be part of its dissemination and development. Ilizarov died in 1992, at the official age of 71 and the unofficial age of 72 (he was actually born one year before the officially stated birth date). His accomplishments were substantive irrespective of where he came from. His accomplishments were extraordinary considering where and when he lived and worked. He developed a whole new field of biology and clinical orthopedics. His method had helped innumerable patients in the USSR and around the world. His personality was entertaining to those being hosted, stimulating to those being taught, but frightening and frustrating to those who had to work for him. In his own little world, he was a very powerful man and ran his institute like a dictator which was his prerogative. He kept his methodology a secret for both practical and egotistic reasons and was always paranoid that others might steal his ideas or steal the limelight from him. Few from the West knew him as well as Paley partly because of Paley’s ability to speak to him in Russian, partly because their paths crossed at many conferences around the world. Dr. Paley's thank you note to Dr. Ilizarov, 1987. I have written this account in the third person intentionally even though a lot of the history is about my own role. I will intentionally switch now to the first person for this final personal account. I hold Professor Ilizarov in the highest respect despite how blunt and honest I have been about some of the vignettes in this account. I do not write this out of malice or disrespect. I feel I have had the rare privilege to know a great and very unique person. We had a relationship of mutual respect. Ilizarov was my Maestro, Sensei and, Guru. I had the privilege of showing him my results when he came to Kernan Hospital in 1989. As a guest at my house on two occasions, my family and I have had the opportunity to get to know him on a personal level. He is succeeded by his student, personal assistant and friend Vladimir Shevtsov whose challenge is to keep the momentum that the Institute generated in the 80’s into the 21st century. This challenge is multiplied by the lack of funding that they face in light of medical funding cutbacks of the new Russian republic. Nevertheless, Shevtsov is clearly the right man at the right time with a refreshing administrative style. One of his first decisions was to erect a memorial to Ilizarov on the main walkway to the Institute and to create a journal called Genii (genius to credit Ilizarov’s genius). He stimulates his colleagues by giving them full credit for their own ideas. He organized a celebration of the 25th anniversary of the formation of the Institute in October 1996 (also the 45th anniversary of the discovery of the method and the 75th birthday of Ilizarov demonstrated that his institute and his method are alive and well.